One of more than 350 crosses in the Sonoran Desert that mark the death of a dream, the death of a migrant. 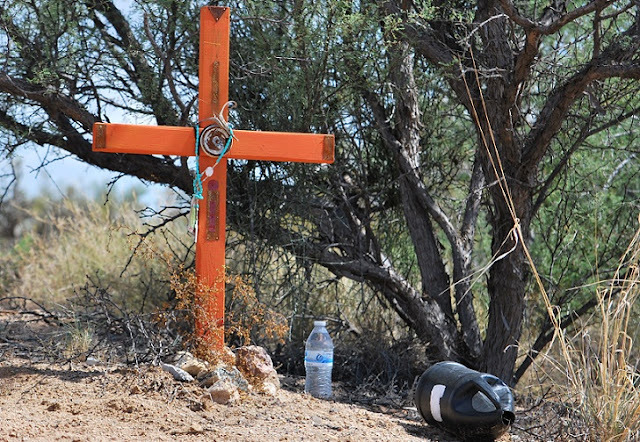 Uno de los más de 350 cruces en el desierto de Sonora que marcan la muerte de un sueño, la muerte de un migrante. quiero pedirte por mis hermanos migrantes. de cuantos los vemos pasar. my Migrant brothers and sisters. and marginalized for being foreigners. the many that see them pass. but rather with hopes fulfilled. 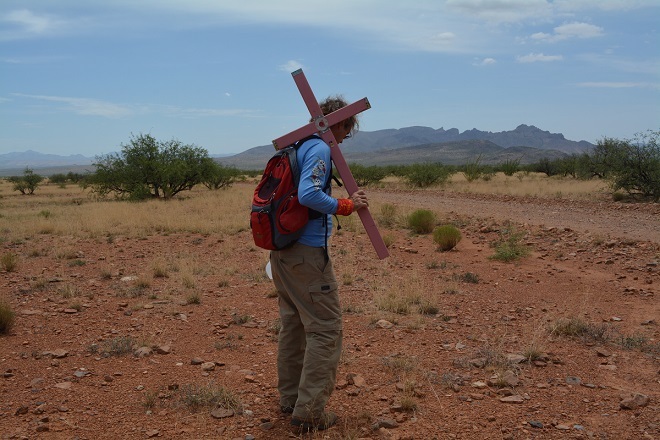 More than 2500 migrants have died in the Sonoran Desert since 1999. On this day, three were remembered with crosses. Más de 2500 migrantes han muerto en el desierto de Sonora desde 1999. En este día, tres fueron recordados con cruces.